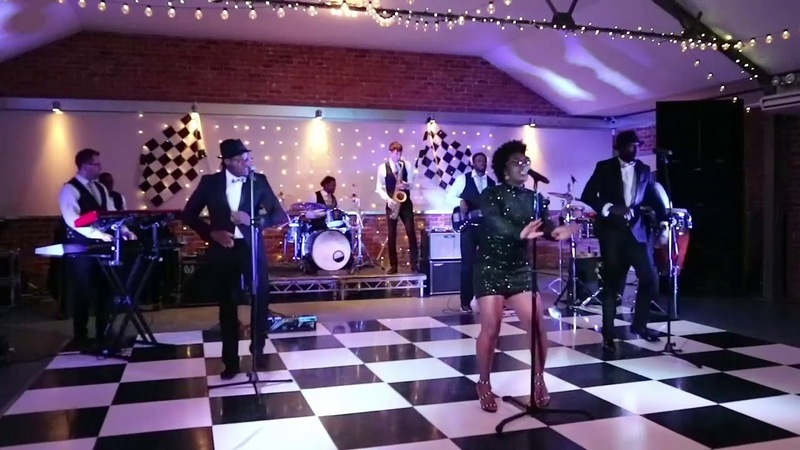 If you are looking to hire a band, you won’t go wrong with Checkmate – one of the finest soul bands for hire in the country. Their extensive repertoire, top-level musicianship and amazing vocals have guaranteed them work all over Europe. They offer a pick and mix of modern pop and rock favourites andsoul classics, so there is something for everyone. If you would like Checkmate to play something different for your first dance they are happy to learn any suitable song given adequate notice. From £1,650 + travel for the 5 piece band for two hours of live music in either two one-hour sets or three 40 minute sets. Band to finish at midnight, for later finishes there may be an additional fee. For larger bands up to the fantastic 10 piece please ask! The wedding was just fab! The pianist was great and Checkmate were so good. The dance floor was full all night!! “One of the most professional and entertaining bands I have come across…Yes they play great and music but they also perform with passion !..5 Stars! Check Mate performed at our Wedding at Rudding Park along with an additional female singer, they were amazing and had so many people up on the dance floor!!! What a talented band, who brought a great atmosphere and really got everyone up having a good time! Thank you so much High Row Music, we would definitely recommend you! The band were fantastic. Everyone enjoyed them so much and the time went so fast. They were a really nice group of players and I hope they had fun and enjoyed the evening too. Sam was so nice and put me at ease straight away. You have been a great company to deal with. Very professional, informative, understanding and communicative. The Band were great I have no hesitation in recommending you to help with a band or checkmate .